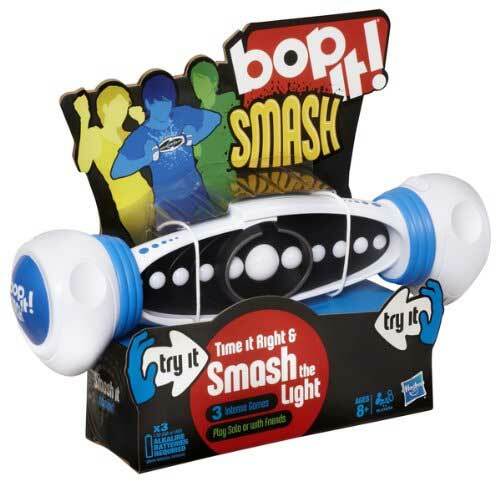 Enjoy the all-new Bop It Smash game. The fast-flashing lights bolt from side to side challenging you to time it right and smash the light in one of the three zone spaces to score. Play solo or challenge your friends. Go for the high score in the solo game. The quicker your reflexes, the higher you'll score. Pass on the fun to your friends and see who can last the longest in Pass It mode. Multiplayer mode lets up to six players get in on the fast-smashing action to see who can reach the highest level. Just pick it up and play; it's hard to stop.